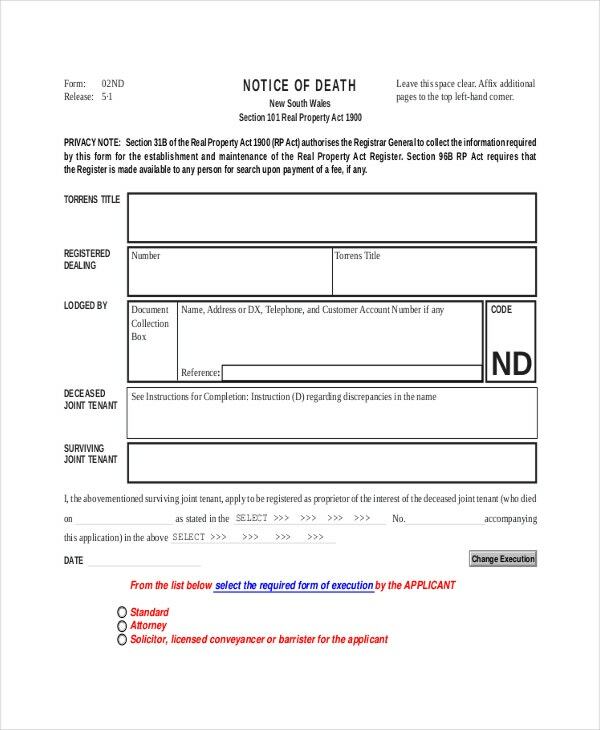 Some of the details that must appear on your death notice template include the following: Name of the deceased, day of departure, family members, where you will hold the funeral service, and where to make donations. Do not be too banal with the letter; try to add something special that has a close connection with the deceased. It can be a joke, his or her favorite saying, or even a religious book quote. 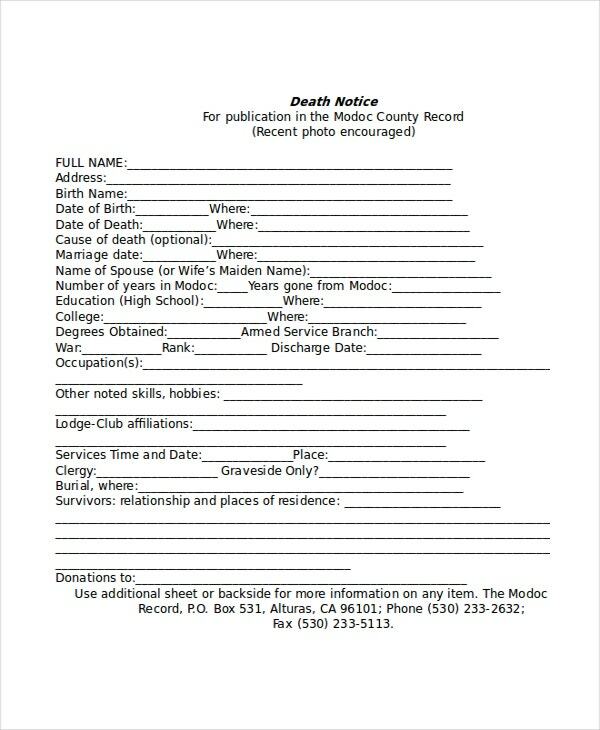 If you are looking for a death notice template with the design structure of a newspaper, you will find this sample file useful. Of course, the file is easy to edit and is available for free download. The goal of this template is to help you convey the death information to the parties concerned as soon as you learn about the demise of a loved one. The template is not just easy to edit, it is also print-ready and easy to customize. In the event of the demise of a loved one, it is important to announce it so that friends and family can share the grief and prepare for the sendoff. 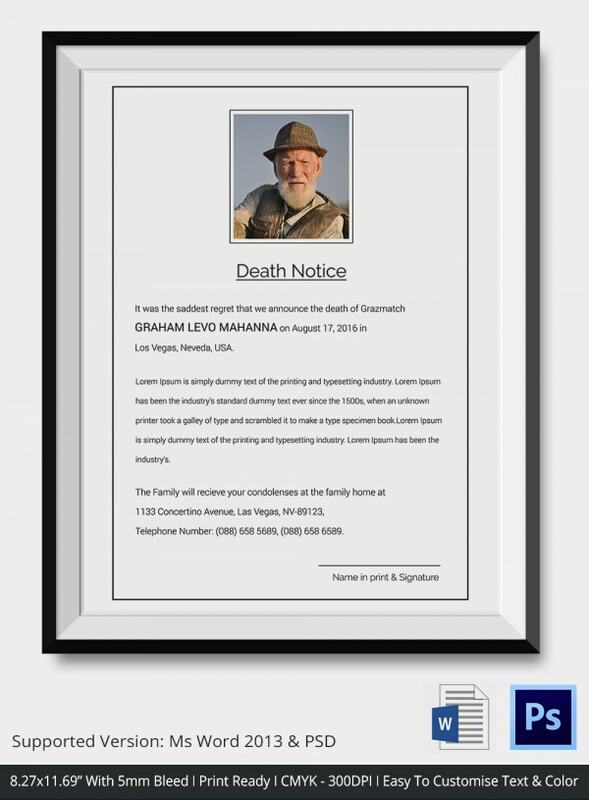 Use a sample death notice to communicate the message. The best way to do this is through a newspaper. 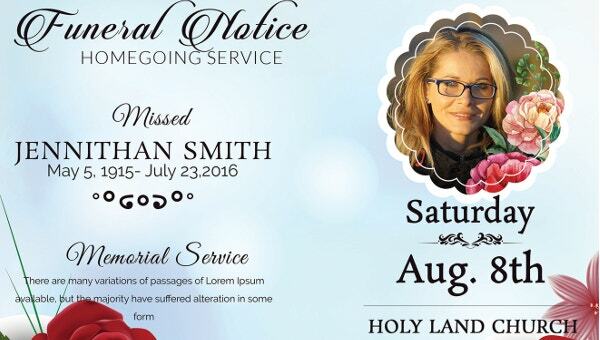 Death notices should be specific but not rigid. Social security death notices are often necessary in the event when someone dies. They are a means of creating awareness about the absence of the person who has just passed away. It is the responsibility of an employer to inform the members of staff about the death of an employee who has passed away. He has to make sure that the family of the deceased also gets the death information in time. 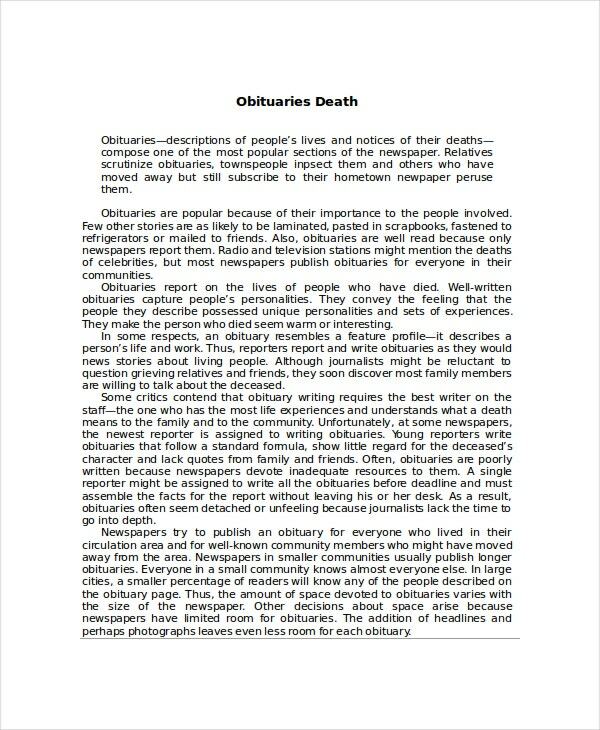 An obituary template is the document you will use to tell a short story of the dead person. The sample template comes with sample content that you should replace with your own text. 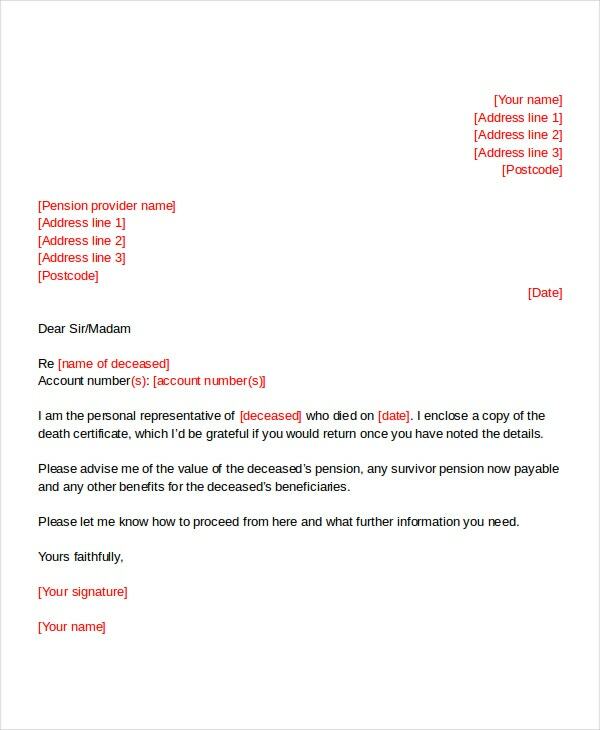 Did you know that it is possible to report the death of a loved one, or just about anyone, using a death notice template through emails? 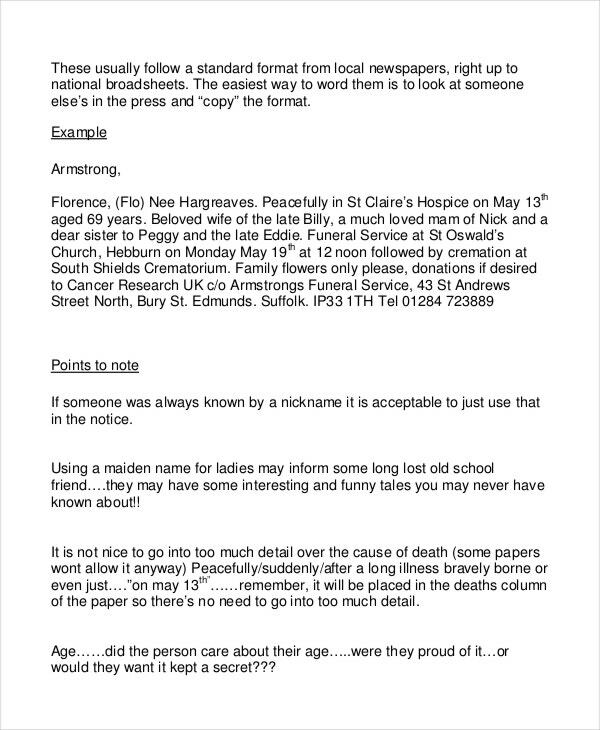 You can download this sample file for free and use it to write such a death notice. There are many deaths that are either not known or go unreported. That should not always be the case though. 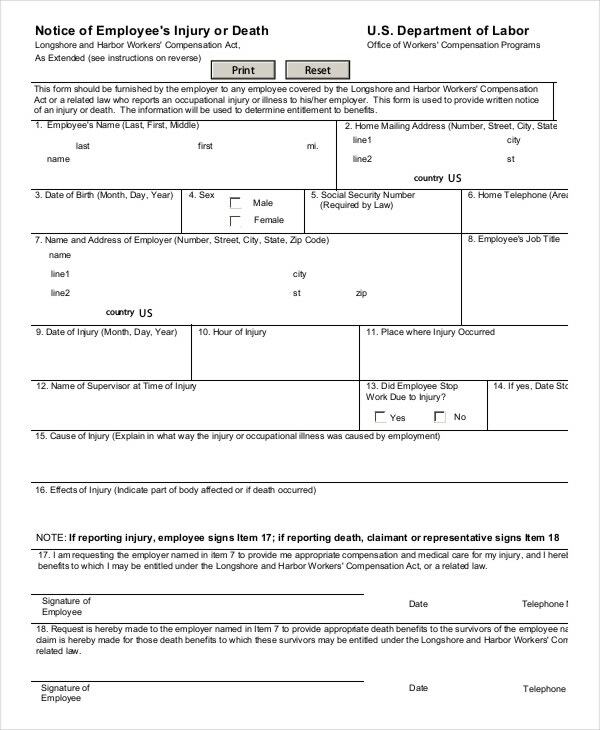 You can use this sample file to report the death of someone you know passed away. 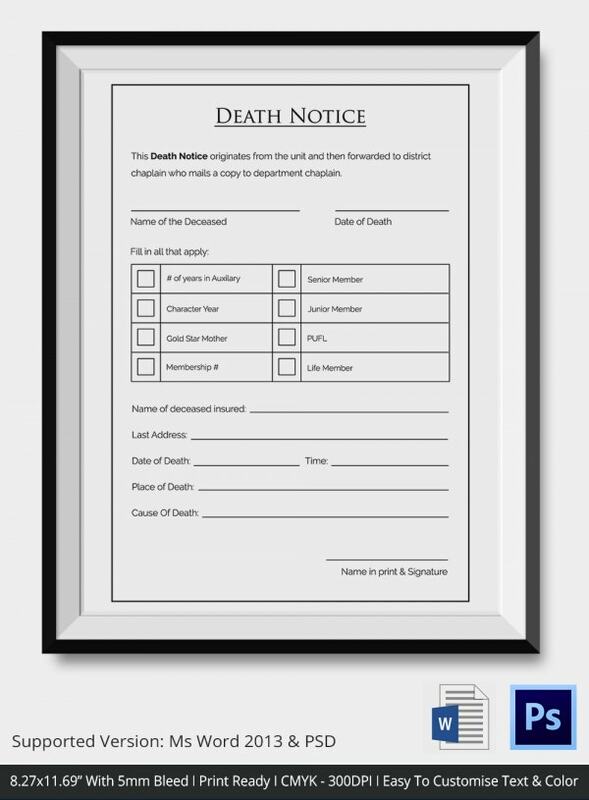 The purpose of a death notice template is to create awareness about a person who has died. Of course, you can download the file for free and then use it to create this kind of an awareness. 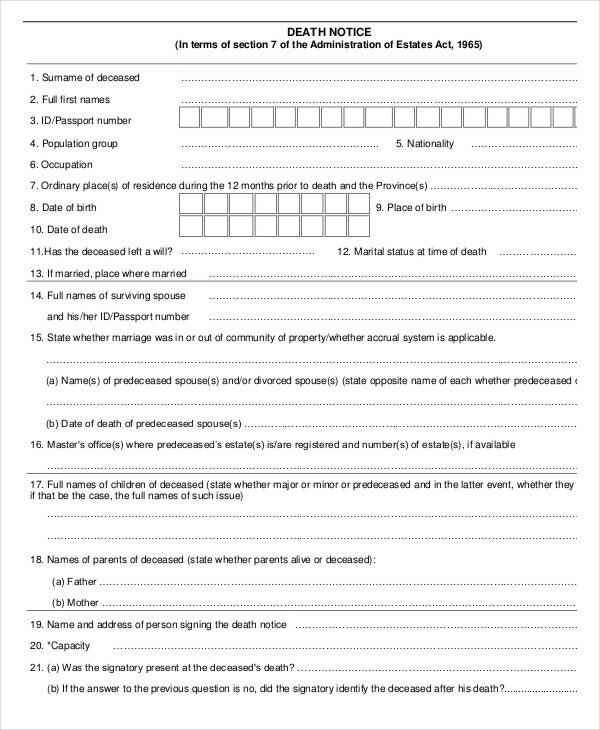 A legal notice of death is the file you use to announce the death of an individual. 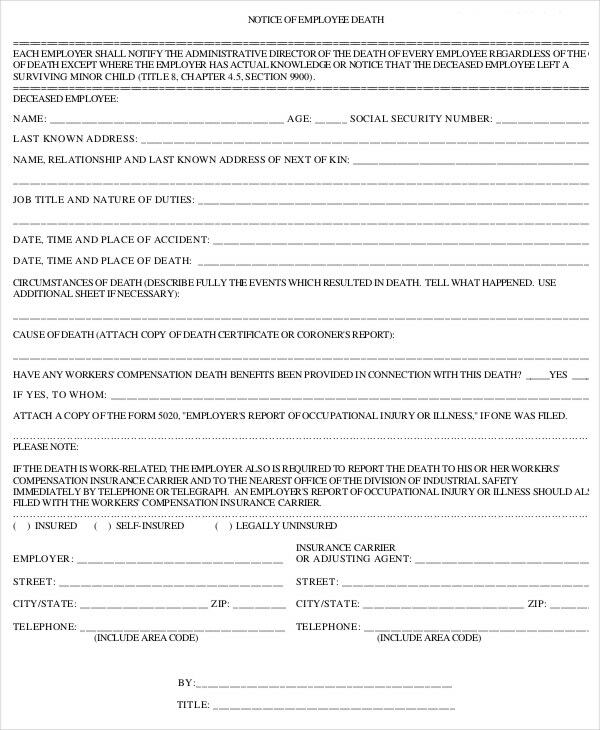 If you would like to report any legal death, this is the best file to use. If you are looking for the best sample file that you can use as a commercial appeal death notice, you will find this template helpful for sure. What’s more, the template is available for free download.